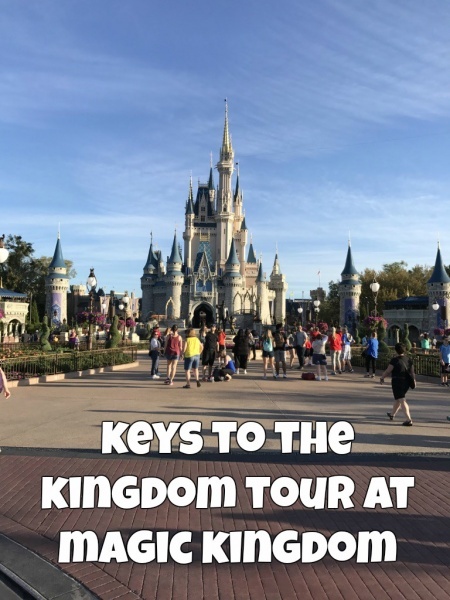 My husband and I recently went on the Keys to the Kingdom Tour at Magic Kingdom at Walt Disney World Resort. This five-hour walking tour of the Magic Kingdom is nothing short of amazing. We got to go in the Utilidors! The five hours and $99 price tag were so worth that 40 minutes under the main level of the Magic Kingdom. This tour is best experienced on your own, not through a (newly redesigned) blog page. 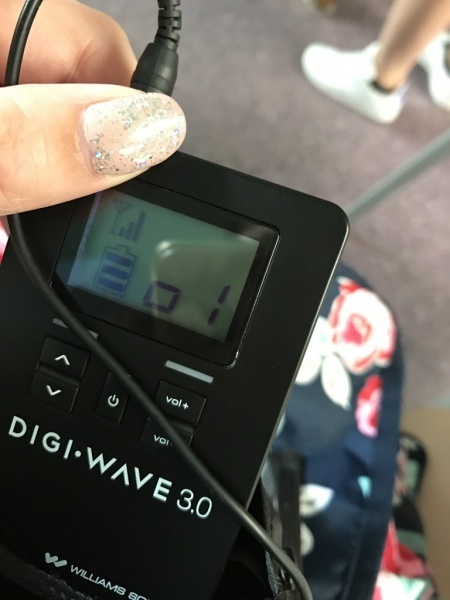 But I want to share the experience so I’m going to give you all a little taste by sharing a short overview and five fun things I learned in the tour! I’m not going to share everything. Honestly I’m barely scratching the surface. But if you want to avoid spoilers, stop after the overview. We were on the 9:30 a.m. tour on a Sunday, there were about 20 people in our group. Our tour guide’s name was Kaitlyn; she literally oozed Disney magic. It’s rare that I meet someone who’s more obsessed than me. But she was my match. Tours run everyday at the Magic Kingdom every half hour from 8:00 a.m. to 10:00 a.m. It’s a very popular experience so booking in advance is important. We met at the Town Square Theater (where you can meet Mickey and Tinkerbell.) We were given Tomorrowland Terrace menus and got to choose what we would have for lunch later that day. We also got name tags and an earpiece. Kaitlyn had a microphone that went straight into our ears. The volume was easily adjusted. We set off! Major stops on the tour were Main Street USA, the hub, Jungle Cruise, backstage behind Splash and Thunder Mountains, lunch, the Haunted Mansion and finally, the Utilidors. There were 2 bathroom stops on the tour, outside of lunch. 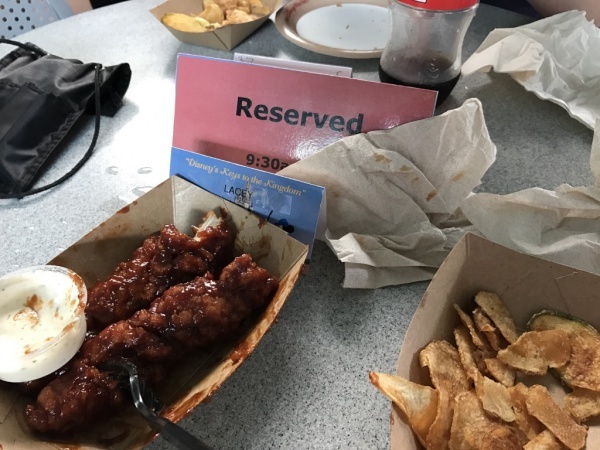 And the barbecue chicken strips at Tomorrowland Terrace are surprisingly tasty. I’ve heard of this tour also stopping at Columbia Harbor House, so don’t count on those. And that was my very general overview! Now I’ll share five fun (but minor) things I learned. The big stuff should be saved for the actual tour! Friendly reminder, stop now for spoilers! There’s a reason the sidewalk on Main Street USA is made up of red stones. The red carpet is being rolled out for guests as they approach the show. And we all know what that show is. It just so happens to be home to a princess and some friendly mice. The name of the tour is Keys to the Kingdom. So obviously, we had to learn about Disney’s four keys. Throughout the tour, our guide continually pointed out how much of the park has all those keys in place. A notable example is letting guests into the Magic Kingdom, as far as the Hub, before park opening. This avoids the old rope drop procedure which was neither safe nor efficient. And for show, the welcome show is now held in front of the castle. And courtesy is just what Disney does best, everywhere. This isn’t a fact as much as it was an experience. It was so, so magical to be down there! But it honestly didn’t look very magical. It looked kind of like a basement with a ton of hallways. There were cute signs on the walls and some neat Disney parks photos. There’s also a giant trash chute down there so it didn’t smell the greatest. I’m a little disappointed we didn’t see an off duty princess but you can’t win them all. 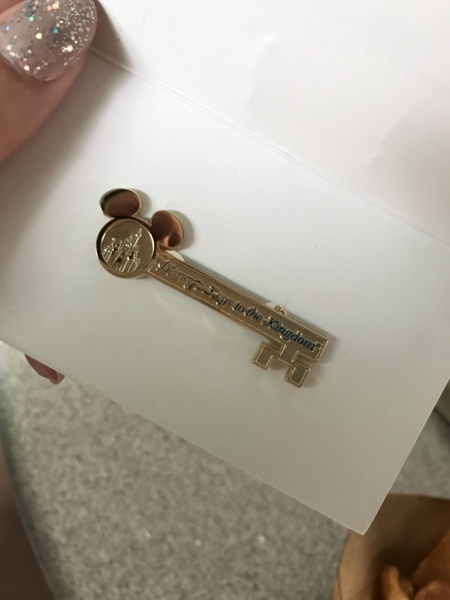 At the end of the tour, they give you a fancy key-shaped pin! One last thing to keep in mind: Photos and recording aren’t allowed during the tour. After all, we’ve got to preserve the magic. Have you experienced the Keys to the Kingdom tour? What was your favorite part? Share in the comments, or on Facebook or Twitter.Did you like this article? Make sure to share it with your friends! Check below for easy ways to share! 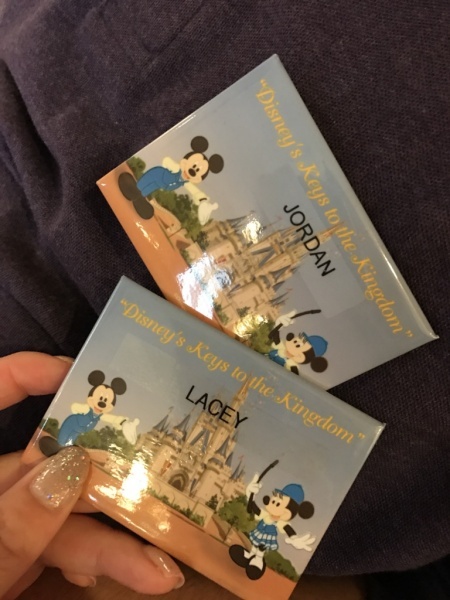 Last year, my husband and I took a leap of faith and moved to Orlando from the Midwest. We are now living our dream, being just a 20 minute drive from Walt Disney World! When I'm not at the parks, I'm working in graphic design, always trying to sneak hidden Mickeys into my work.